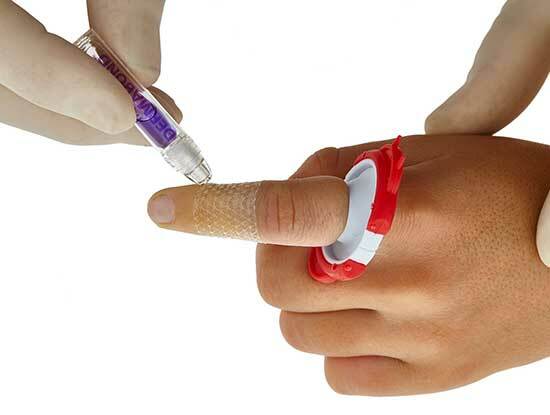 The T-RING is the world’s first One-Size-Fits-All tourniquet for digits. 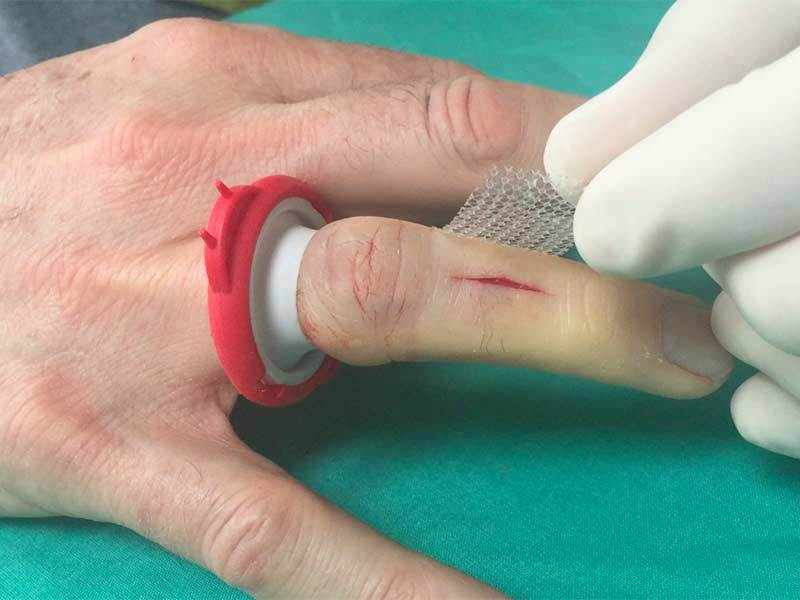 Designed by a physician, the T-RING provides immediate hemostasis while applying a fraction of the pressure applied by all other available tourniquets. 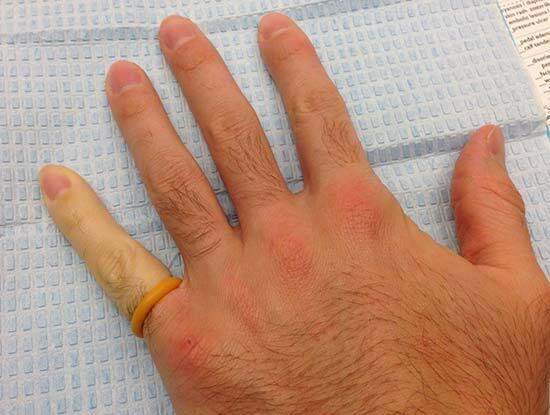 And, being highly conspicuous, it is nearly impossible to forget on a digit. 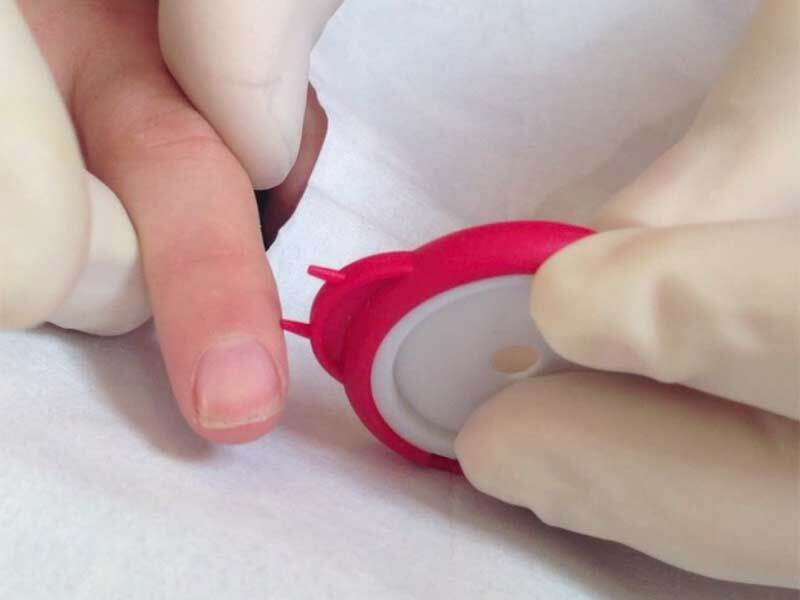 The T-RING’s unique design makes the T-RING faster, safer and easier to use that any other method. 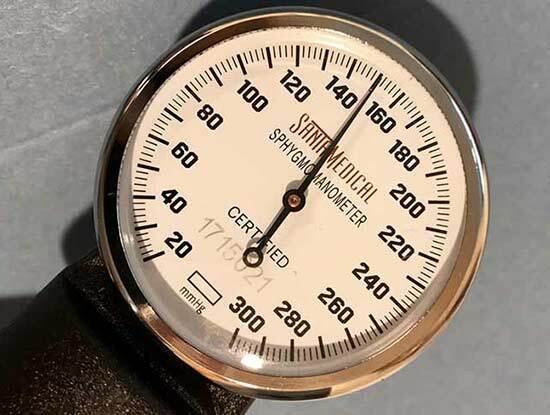 Excessive Tourniquet Pressures: Is your method safe (< 300 mm Hg)? 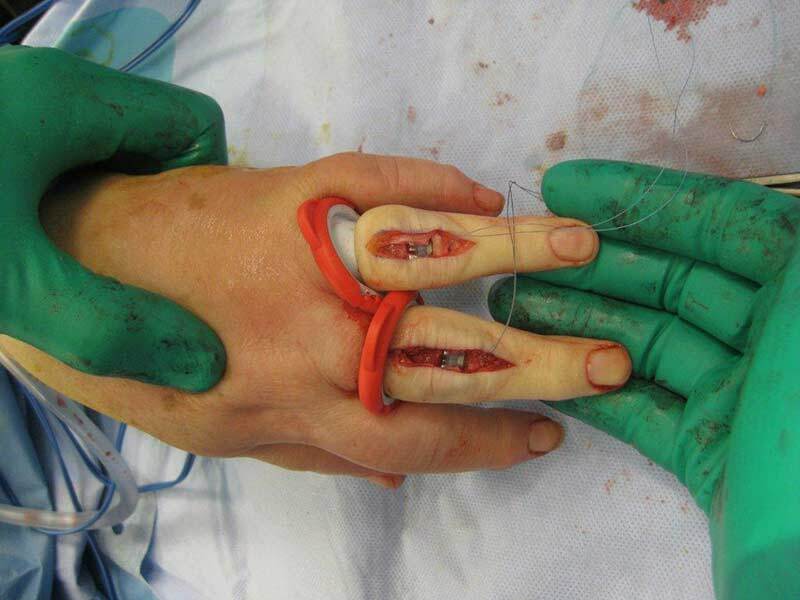 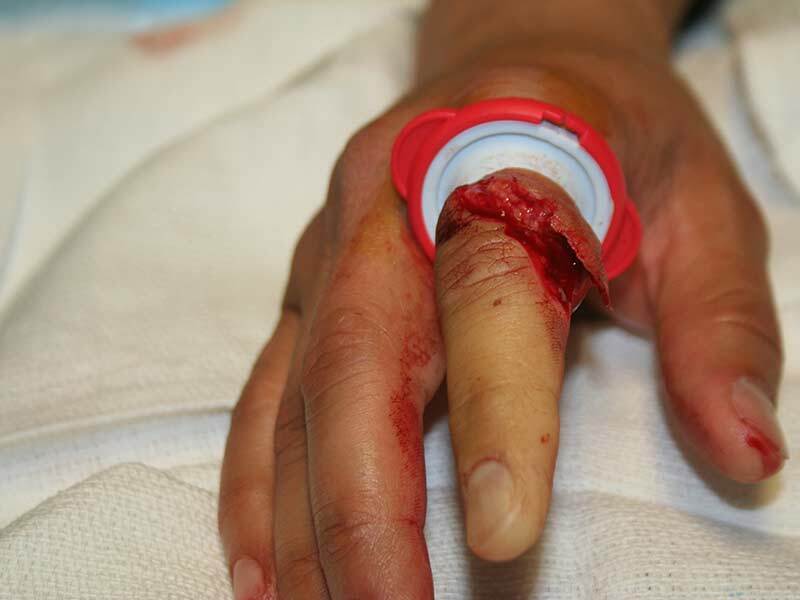 Digit necrosis from a forgotten tourniquet is an uncommon but disastrous complication that has occurred with low profile methods such as surgical gloves & silicon band tourniquets. 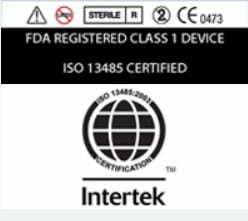 The T-RING’s high profile and bright color are designed to eliminate this risk. 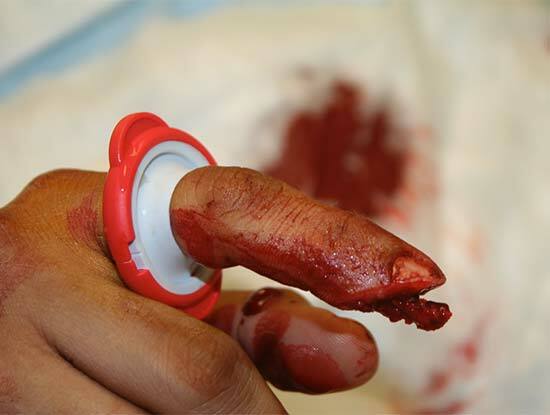 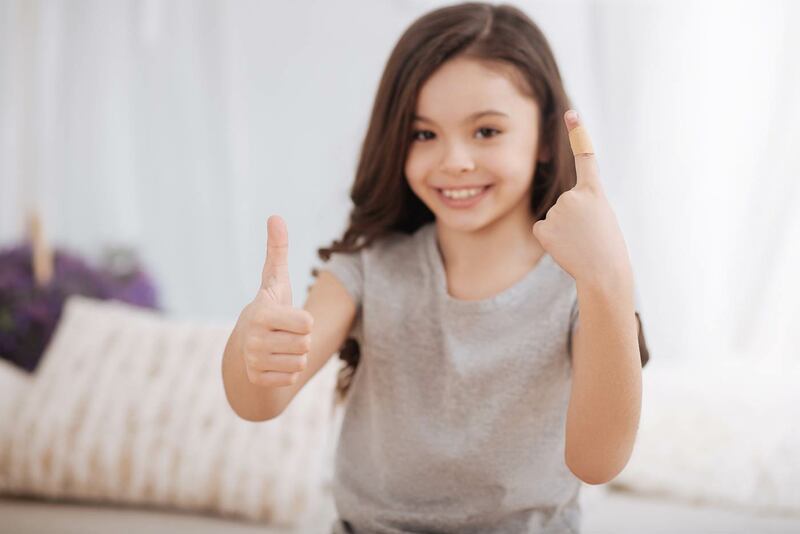 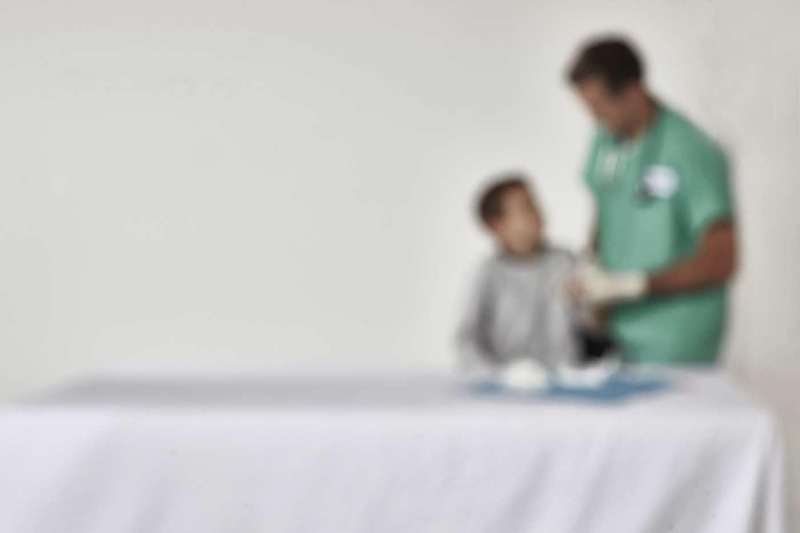 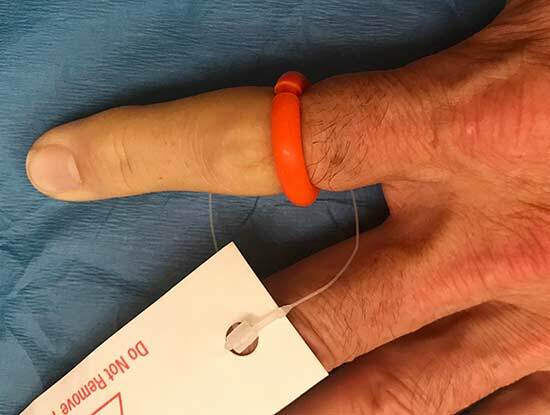 The T-RING’s ability to instantly stop bleeding without the risks associated with other methods has made it the safest and easiest digit tourniquet used today. 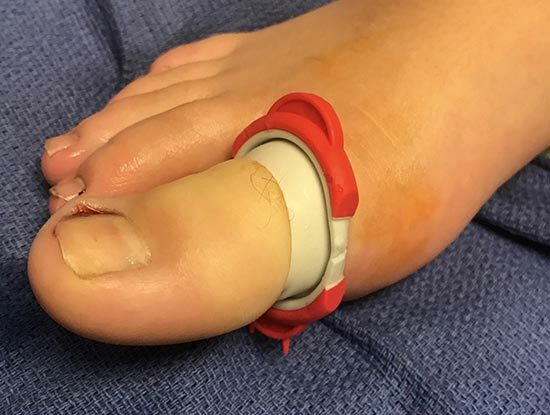 It’s low pressure is ideal for patients with neurovascular disease, and the T-RING’s ability to stretch over traumatic flaps & deformities allows its use when rolled on methods are ill advised. 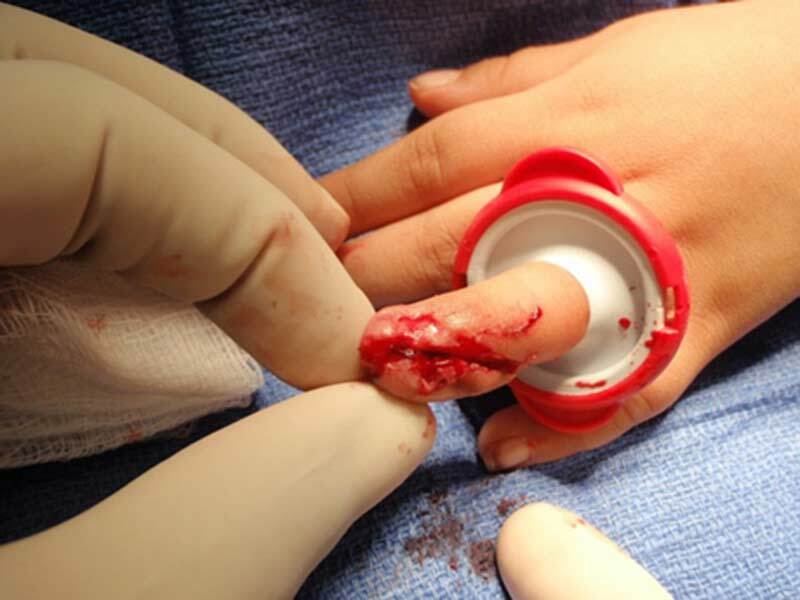 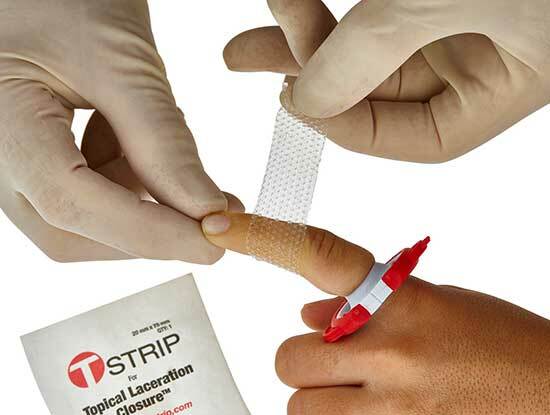 The “2 point discriminator” allows quick assessment of nerve injury; while the guaranteed bloodless field is ideal for Topical Laceration Closure™ of digit lacerations. 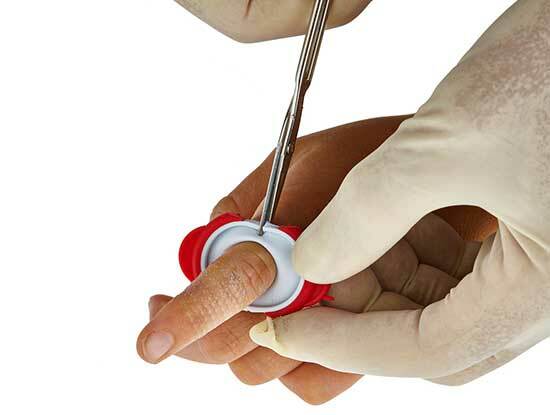 The T-RING is used by orthopeadic, plastic and hand surgeons; dermatologists, podiatrists, pediatricians, emergency and other primary care providers. 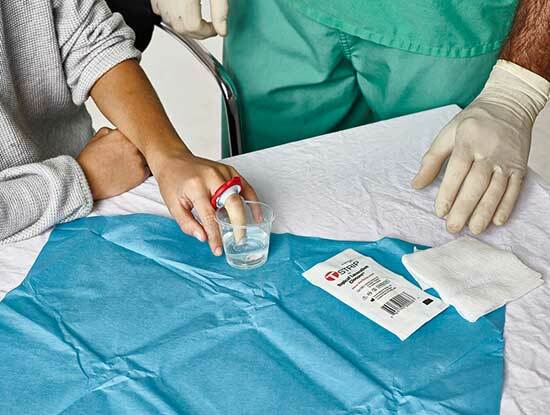 It’s benefits has made it the preferred tourniquet for acute injuries and elective procedures in over 1000 facilities in the U.S., and is used in over 30 countries worldwide. 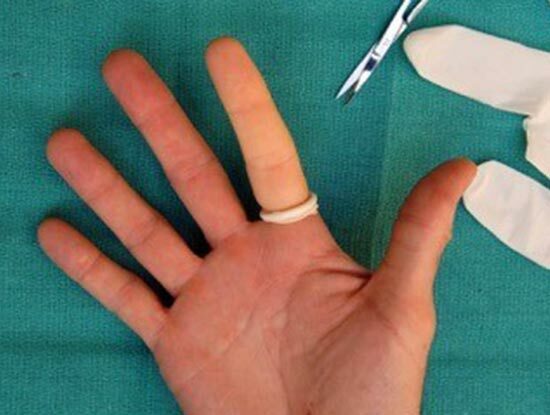 As a nail specialist who does a lot of nail surgery, I rely on T-Rings for all of my procedures. 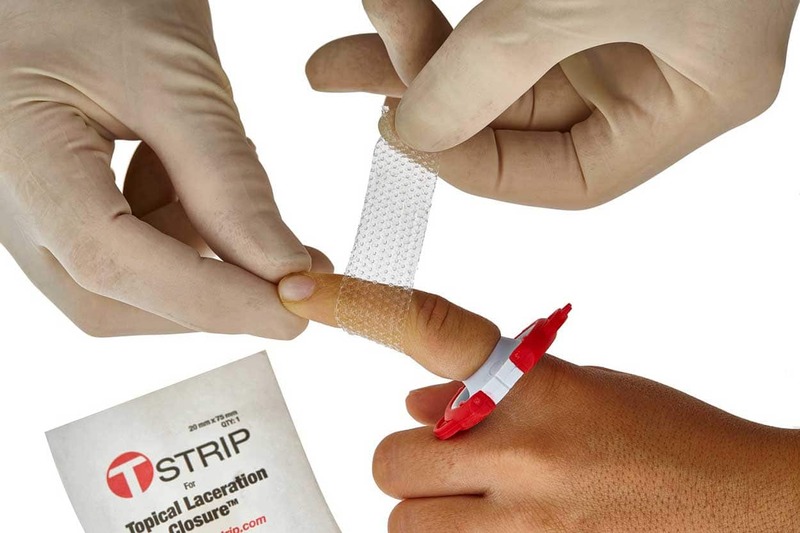 I love that the device is sterile, super easy to use and most importantly the safest way to achieve hemostasis during my procedures. 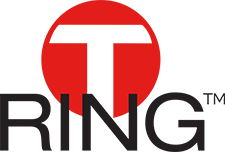 I highly recommend the T-Ring! 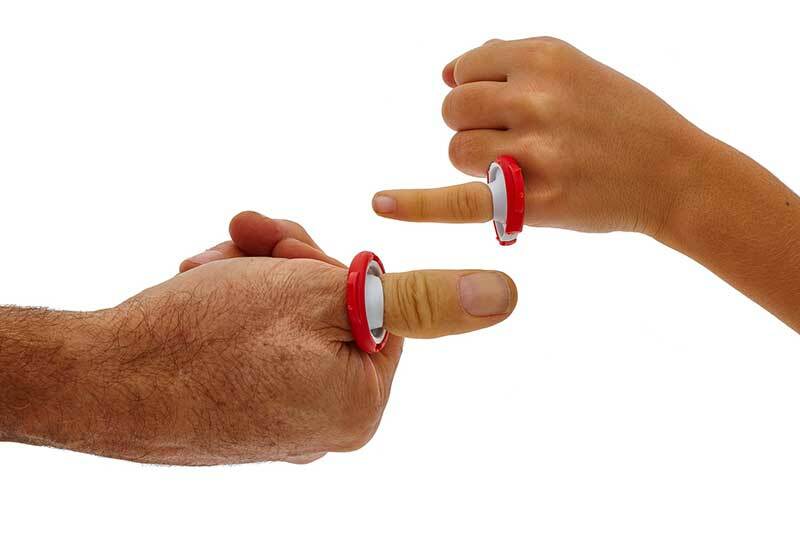 The T-RING is the world’s first One-Size-Fits-All tourniquet for digits. 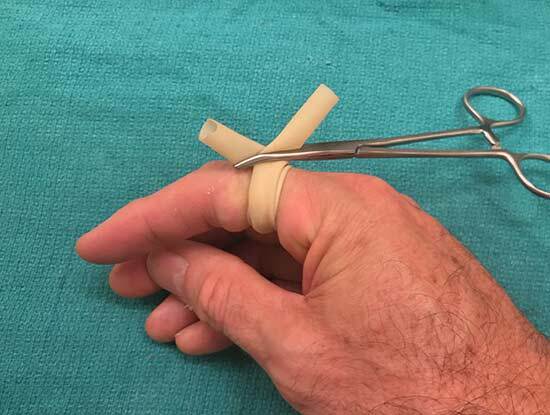 Designed by a physician, the T-RING provides immediate hemostasis while applying a fraction of the pressure applied by all other available tourniquets. 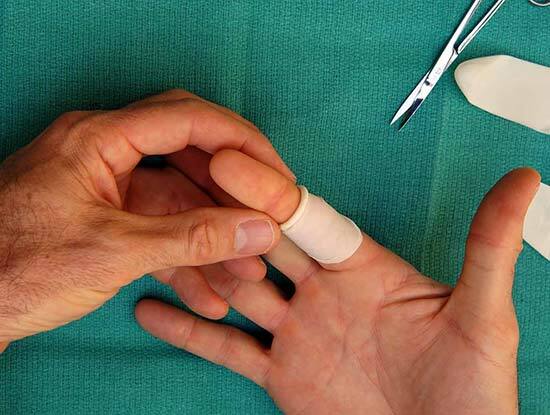 And, being highly conspicuous, it is nearly impossible to forget on a digit. 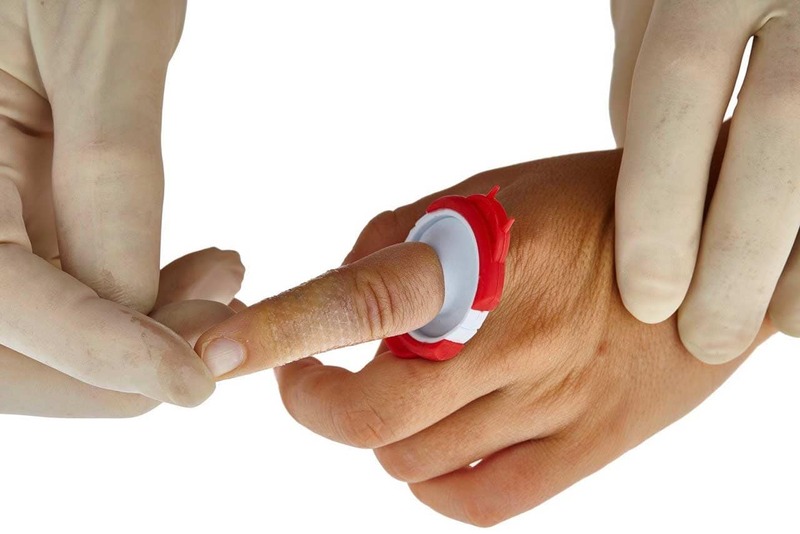 The T-RING’s unique design makes the T-RING faster, safer and easier to use than any other method.